Miley Cyrus has finally dropped an album without room for any disappointment. Growing up with two country legends in the family – her father Billy Ray Cyrus and godmother Dolly Parton – it’s not surprising to see that Miley Cyrus has gone back to her roots and released such a fun-vibed country album. 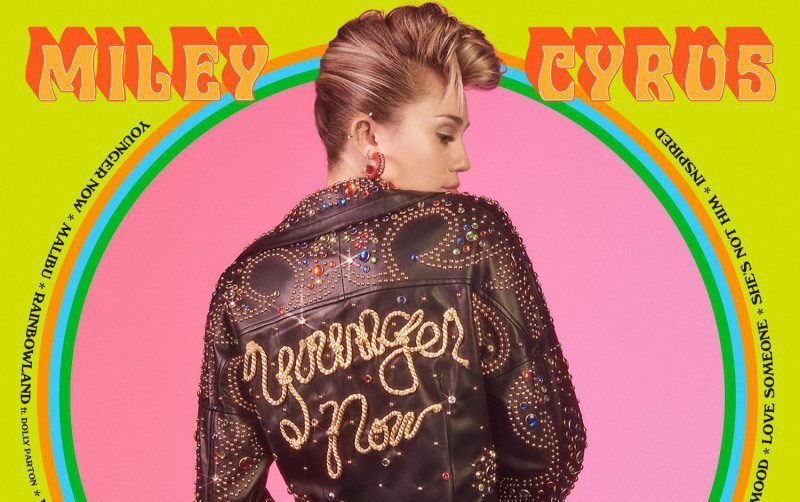 After seeing a range of Cyrus’ personas, from Disney’s Hannah Montana to naked, care-free, swinging-on-a-wrecking-ball Miley, she’s finally come back to do an album which sees her at her best. Cyrus’ passion for country music was evident long before she turned to big-party pop in 2013’s Bangerz, with her 2012 cover of ‘Jolene’ in The Backyard Sessions really demonstrating her flourishing talent in the genre five years before she’d step into her godmother’s footsteps by producing a country album of her own. The songwriter’s country talent was shown again when she later sang ‘Peace Will Come’ with acclaimed country singer Melanie Safka to raise money for the Happy Hippie foundation, which supports the LGBT community and homeless youth. So it’s no surprise to see her finally taking on a genre she clearly loves in the beautifully hopeful Younger Now. Cyrus nicely sums up the transition to country pop in the title track, where she declares that “Change is a thing you can count on.” Further emphasis comes in the accompanying Elvis-style music video, in which she dances with her younger self as a puppet, showing how she accepts – and can be proud of – her past. Talking in a recent interview, she stated that no one should be “embarrassed or ashamed of who you’ve been” when you’re trying to find yourself; hopefully, she’ll stop claiming on Saturday Night Live that she’s killed Hannah Montana now. Godmother Dolly Parton, famous for ‘Jolene’ and ‘Nine-To-Five’, features on the upbeat song ‘Rainbowland’. In a recent interview with Radio One, Cyrus said the song is about “celebrating our differences” and recognising that no-one fits one specific colour; rather, we all fit together to make one “awesome rainbow”. As the founder of the Happy Hippie foundation, Miley uses her platform to voice issues faced by vulnerable and discriminated populations – a theme which is reflected throughout the entirety of the album. These issues, which are clearly so close to her heart, inspire her music intensely. Miley has achieved her aim of producing a cheery beautiful album which works in spreading infinite amounts of hope.